Purvanchal Kings Court Gomti Nagar: The regal way of living in the ‘city of Nawabs’ and royal heritage! Lucknow is a city that is known for its various and wonderful assets. Whether it is the culture of the city that has given the country many of its legendary poets, or whether it is the rich cuisine and lip-smacking dishes that the history is filled with. The Nawabs of the yesteryears were great patrons of music, art, and culture. This is evident from the artistic style in the old buildings that dot the entire town. In fact, when it comes to culture and Indian politeness, Lucknow residents have always led the way and there are folklores galore of how the residents of the city have floored many visitors with their hospitality. In modern times too, the city has some of the best schools in North India. The pride B-School, IIM, is also present in Lucknow. Of late, there have been many residents who have aspired to live life unconditionally and that too at world-class standards. The global exposure and rising income levels have resulted in the city witnessing a number of transformations in the realty space of the city. Many areas in and around the main city, as well as a bit away from congested regions, are witnessing a sort of revolution here. 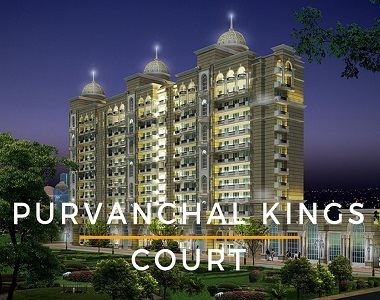 A project that stands special mention here is the Purvanchal Kings Court. 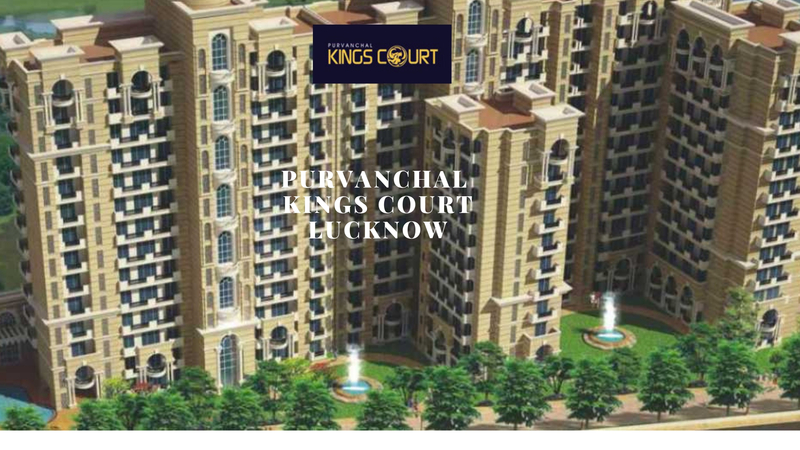 As the name suggests, Purvanchal Kings Court Lucknow is a regal offering located at Vinamra Khand in Gomti Nagar. It is a green project and is set in the midst of nature. The gated complex has 3 and 4 BHK apartments that span many sizes and have spacious layouts. The sizes here range from 1337 sq. ft (Carpet Area). to 1936 sq. ft (Carpet Area) overall. These are designed to maximise the feeling of privacy. At the same time, wide open balconies and large windows allow the natural light and fresh air to circulate freely across the length and breadth of the entire apartment. The sleek finish and smart interiors make up a pretty and cosy picture indeed! Purvanchal Kings Court Vinamra Khand has a gated complex that is secure 24 / 7. The campus is loaded with grand facilities that include many features for recreation, enjoyment, socialising, relaxation, health, and fitness. This includes a meditation area, club house, swimming pool, gym, kids’ play area, open spaces, green gardens, etc. With power back-up, 24 hour water supply, trained staff for its upkeep, and tight security, it is a heaven indeed! 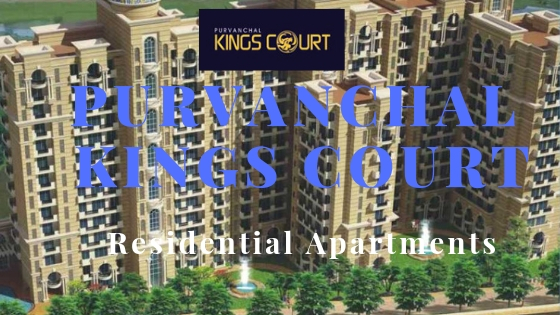 The Purvanchal Kings Court price is a great range. Homes here can be acquired in the price band of Rs. 1.14 crores to Rs. 1.68 crores, with the rate at Rs. 8650 - 8710 per sq. ft. The homes, irrespective of the size or format, can be booked by paying only 5% of the amount. The vicinity of the property contains plush names. It is close to many fine-dining restaurants, shopping areas, schools, hospitals, access roads, etc. Lucknow is witnessing a high-styled lifestyle being offered for those who enjoy the finer things in life!